Somatic psychotherapy, a holistic therapeutic approach, incorporates a person’s mind, body, spirit, and emotions in the healing process. Proponents of this type of therapy believe a person's thoughts, attitudes, feelings, and beliefs can have an impact on physical functioning, while physical factors such as diet, exercise, and posture may positively or negatively affect a person’s mental and emotional state. Thus, those seeking treatment for any number of mental health concerns may incorporating somatic therapy into treatment to be beneficial. How Can Somatic Psychotherapy Help? A modality grounded in the mind-body connection, somatic psychotherapy is the largest branch of somatic psychology. Contemporary practitioners of somatic therapy believe that viewing the mind and body as one entity is essential to the therapeutic process. This mind/body entity will move toward healing and growth of its own accord, given the right environment, and interpersonal interactions, when conducted in a safe and respectful manner, can positively impact and help regulate the mind/body. According to somatic therapy theory, the sensations associated with past trauma may become trapped within the body and reflected in facial expressions, posture, muscular pain, or other forms of body language. Talk therapy can help address this trauma, but depending on the needs of the person in treatment, therapeutic body techniques can supplement more conventional approaches (such as talking therapy) to provide holistic healing. Somatic psychotherapy (also known as body psychotherapy or body-oriented psychotherapy) differs from body therapy. While body psychotherapy may often result in increased self-awareness, the resolution of psychological concerns, and positive changes in behavior, body therapy does not seek to resolve deep-rooted mental health issues or provide psychological insights. On the contrary, body therapy typically involves the use of therapeutic massage, non-therapeutic massages, and cosmetic skin treatments to reduce stress and increase long-term health. Austrian psychoanalyst Wilhelm Reich is believed to have made the largest impact on the early development and establishment of somatic psychotherapy as a therapeutic modality. French psychotherapist Pierre Janet made significant contributions to the development of somatic psychology in the late 19th and early 20th centuries, and Sigmund Freud also demonstrated his interest in the body’s role in the onset of mental health issues. Reich, a former student of Freud, believed that human impulses are innately good and sought to develop a psychodynamic concept incorporating the physical body. One of the first individuals to investigate the body’s role in psychotherapy, he published Character Analysis in 1933. In this book, which was generally accepted by the psychoanalytic community, he suggested that repressed emotions and even an individual’s personality were reflected in muscular tension, posture and physical movement—a concept which he termed “body armor.” As a result of his investigations, he came to believe the application of physical pressure was needed in order for people in therapy to fully achieve emotional release. Despite the success of Character Analysis, Reich’s subsequent work in vegetotherapy—massage applied in treatment for the purpose of breaking down physically manifested emotions—was widely criticized and rejected. This intense criticism led to the marginalization of body psychotherapy by the general psychology community. Nevertheless, Reich had introduced and developed several key concepts for body psychotherapy, thus laying the foundation for future work to be done in the field. Several of the individuals he treated—Alexander Lowen, John Pierrakos, and Charles Kelley among them—and later researchers built on his work in order to develop their own forms of body psychotherapy. This modality has expanded significantly since its development in the 1900s. The separation between mind and body is far less distinct today than it was in the 1930s, and an increasing number of mental health experts are now beginning to realize the benefits of a holistic approach and making adjustments in their treatment approaches accordingly. Core Energetics, an approach that utilizes movement to balance energy between body, mind, and spirit and better express innate qualities. Others include emotional reintegration, biodynamic psychology, unitive psychotherapy, concentrative movement psychotherapy, and emotional reintegration. While traditional talk therapies are often able to effectively address many mental and emotional health challenges, somatic psychotherapists believe some people may be able to quickly address deep emotional issues not revealed through talk therapy, simply by paying attention to the communication of the body. Because past trauma or other psychological concerns may potentially have a negative effect on a person’s autonomic nervous system, people experiencing emotional and psychological issues may also be affected by physical concerns such as sexual dysfunction, hormonal issues, digestive issues, or tension in specific parts of the body such as the head, neck, shoulders, or stomach. Practitioners of somatic psychotherapy can help individuals both become more aware of these bodily sensations and learn to use therapeutic techniques to release any tension the body is holding. 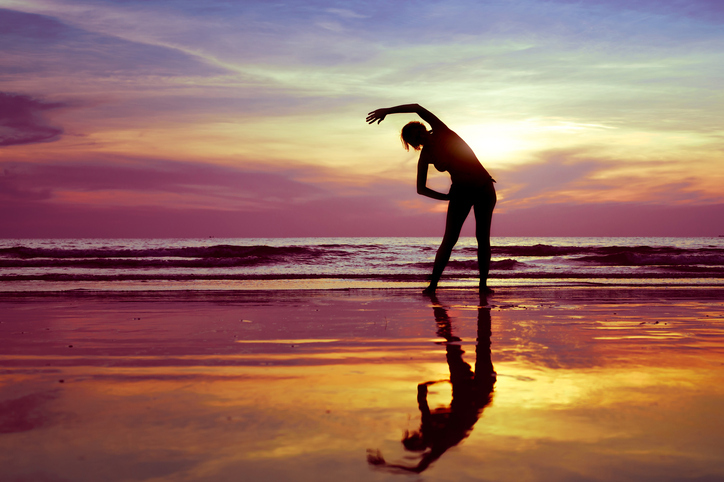 Techniques often used in therapy include breathing exercise and sensation awareness, physical exercise such as dance or other movement, voice work, massage, and grounding exercises. During the session, the person in treatment may be encouraged to reflect on patterns of behavior and identify any impact these patterns may have on any new emotions, experiences, or concerns that come up in therapy. Somatic therapy may help people experience greater self-awareness and connection to others. Participants may find themselves able to better sense their own bodies, reduce stress, and explore emotional and physical concerns. The use of body-oriented psychotherapies as part of an integrated approach to the treatment of posttraumatic stress is becoming more prevalent, and trauma expert Bessel van derk Kolk has stated that somatic approaches may in fact be essential in trauma treatment. Somatic psychotherapy can help individuals address a range of issues. Some may choose to seek somatic therapy as part of their approach to treatment in order to improve emotional regulation, address relationship concerns, decrease symptoms of anxiety or depression, and increase self-confidence. Scientific evidence supporting this treatment is limited, but early research suggests somatic therapies may also be helpful when included in the treatment of issues such as borderline personality. Despite its reported effectiveness and increasing popularity in therapy, some concerns have been raised regarding the use of somatic psychotherapy as a treatment option. One issue is the use of touch, which is utilized as part of some somatic approaches. Touch in therapy is a major ethical concern. While some individuals assert that therapeutic techniques involving physical contact with the therapist result in pain reduction and the release of tension, some people—such as those affected by sexual abuse—may have significant issues with being physically touched. Some experts have also questioned whether the use of touch could have the unintended effect of rendering therapy sessions frightening, arousing, or sexual. The possible presence of these types of intense emotions could contribute to the development of greater transference and countertransference issues within the therapeutic relationship. In order for this type of treatment to be effective, both the therapist and the person in treatment must consent to touch and possess the capacity to learn how to develop their own bodily awareness. Because not all forms of body psychotherapy have satisfied the tests for scientific validity posited by accrediting institutions in some countries, certain body-centered approaches may not be recognized or accepted within those countries.